Modern vocal jazz with compelling original compositions and soulful interpretations of standards. 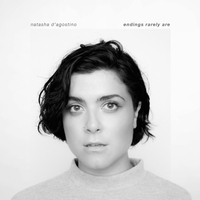 25 year old jazz vocalist Natasha D'Agostino is a distinct new voice in the Canadian jazz and improvised music community. Her captivating performances showcase her ability to weave together classic jazz sensibilities, nuanced harmony and contemporary rhythm and form. Whether performing familiar standards or her own compelling originals, Natasha's soulful voice soars with her dynamic band.